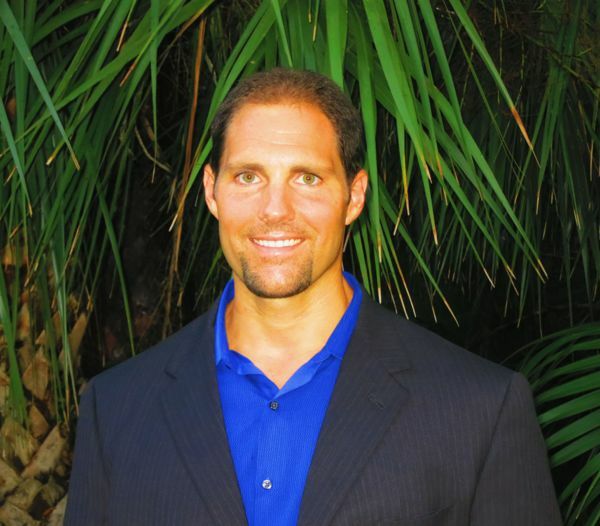 Dominic D’Agostino is an assistant professor at the University of South Florida. His main area of interest is metabolic therapies focusing on oxygen toxicity (seizures), epilepsy, neurodegenerative diseases, brain cancer and metastatic cancer. Recently his research has been focused on understanding the anticonvulsant and neuroprotective mechanism of a ketogenic diet and ketone esters. A ketogenic diet has been an area of resurging focus among high performance athletes and that’s the reason Christopher has him on the show today. In this conversation they dig into the details of what ketones are, how and when the body produces them, how they are an excellent source of energy for athletes, and much more. Dr. Russell Wilder first developed ketogenic diets at the Mayo Clinic in 1924. Despite being highly effective in treating epilepsy, they fell out of fashion due to the surge in new anti-seizure medications in the 1940s. Ketogenic diets are high in fat, moderate in protein, and very low in carbohydrate. This special macronutrient partitioning changes the way your body uses energy. Ketones are a form of stored energy produced by the liver from fatty acids. Today’s guest, Dominic D’Agostino, chats with Christopher about the production and metabolism of ketones, and how athletes seeking higher performance can utilize a ketogenic diet for athletic performance. How a ketogenic diet can help elite athletes perform better. Dominic D’Agostino has been a powerlifter and weight trainer for years. His interest in athletics and sports has perfectly combined with his role as a researcher to provide valuable insights into the important role ketone bodies play in high-performance athletics. Dominic hopes to bring his research into the athletic realm for use as a tool for elite athletes to use to shape their diet in a way that maximizes performance through the production of ketones. There’s a ton of promising research and great insights shared in this episode, so make sure you block out some time to listen to the entire thing. Dealing with insulin related blood issues with a ketogenic diet. For athletes and nonathletes alike, blood sugar issues can be a significant problem. Spikes or dips in blood glucose levels create all kinds of symptoms, from shakiness and weakness to headaches, dizziness, and complete lack of energy. Dominic has discovered that a ketogenic diet improves insulin sensitivity, thereby improving the regulation of blood sugar. If you struggle with blood sugar issues, it will be worth your time to listen to this episode. Ketogenic diets and weight loss. Dominic likes to say that “ketones keep the brain happy even when you are in a calorie deficient state.” Appetite regulation is incredibly complex, but Dominic has noticed both anecdotally and in the literature that being in the state of ketosis makes it very easy to regulate your appetite. Regulate appetite and the weight stays off naturally. [0:05] Introduction of Dominic, assistant professor at the University of South Florida. [0:30] The relationship of ketones that are connected to insulin issues. [1:55] Nutritional ketosis: What are ketones and how are they produced in the body? [4:20] How do ketone bodies prevent seizures? Do we really know? [6:29] How Dominic came to be interested in ketone bodies and their relationship to seizures. [8:53] Are ketones at all helpful in dealing with traumatic brain injuries or mental performance? [12:31] Dominic’s interest in promoting the use of ketones for elite athletes. [13:35] What is going on in the body when it begins using ketones for energy? [16:40] Does the ketogenic diet involve a flood of stress hormones or not? [19:06] Dominic’s advice for those who want to try a ketogenic diet. [19:38] Is a ketogenic diet stressful to the body in the long term? [24:24] What does Dominic mean by “increased sensitivity” that could occur in the ketone adaptation process? [28:29] Why athletes who want to try a ketogenic diet should take a few months to try it out and the importance of tracking foods and glucose levels. [32:13] The enormously helpful tool of a glucometer and the benefits Christopher has seen in using Ucan Superstarch. [33:08] How does a ketogenic diet reduce oxidative stress? [36:11] How does MCT oil work and what are the problems with them? [40:12] MCT is able to cross the blood-brain barrier for use in energy production. [41:19] How a ketogenic diet is beneficial for weight loss. [42:43] Could there be a problem with athletes who are eating a ketogenic diet and burn up a ton of calories in a workout but don’t eat afterward because they’re not hungry? [44:27] What are the different types of ketone supplements available? [46:19] Why ketone esters are a great potential source of ketogenic supplementation but are not available yet. [49:09] One problem of ketone levels being too high. [49:36] Why does ketone supplementation cause glucose levels to drop immediately? [52:19] For an athlete who’s aiming for ketosis, is it good to keep some carbohydrates in the diet?